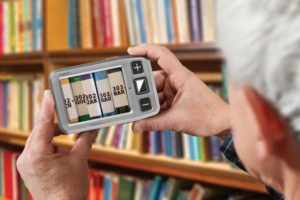 The explorē 3 portable electronic magnifier is ultra-portable compact to fit into any purse, bag or pocket and ideal for anyone who wishes to have an electronic magnifier with them all the time. The ideal product for anyone that has a difficult time reading a menu or seeing the fine print on packaging. 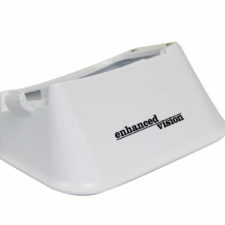 Easy to use with large buttons for adjusting magnification and contrast modes. The 2X-16X magnification and continuous zoom allow you to see every detail. 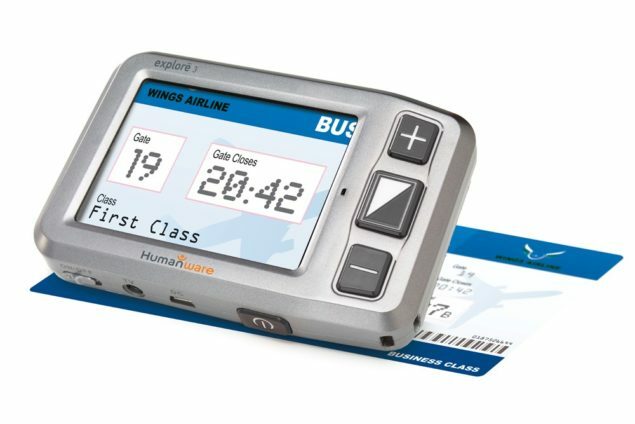 Comes standard with auto-focus, freeze-frame, color mode selector and built-in stand, which is very useful when you need to sign your name or fill out paperwork. The built-in flashlight is helpful to lighten dark areas like stairs, closets, etc. 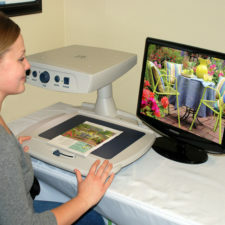 Connect the explorē 3 portable electronic magnifier to a TV to magnify what’s on the screen for optimum viewing. 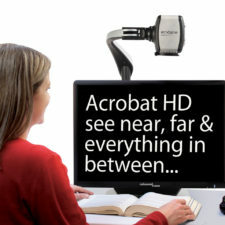 The explorē 3 is an entry-level product that is ideal when an optical magnifier is not enough and an CCTV is too much. 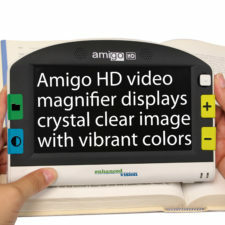 The product is designed to make your active, mobile life better and is one of the most reasonable priced 3.5” electronic magnifiers available.